AlpInvest Partners has re-hired a preferred equity specialist who will focus on the strategy from the firm’s London office. 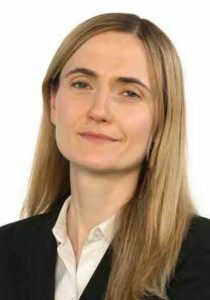 Vjerana Spajic joins the Carlyle unit as a vice-president in its secondary investment team, according to a statement obtained by Secondaries Investor. In addition to structured equity and preferred equity, she will work on sourcing, diligence and executing secondaries investments. Secondaries Investor reported in October that Spajic had left preferred equity firm 17Capital where she was a investment director. 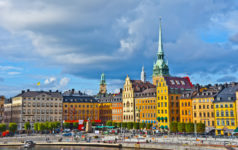 “We look forward to adding Vjerana’s complementary experience in structuring capital solutions to AlpInvest’s existing activities in the sponsor-centred segment of the secondary market,” said Michael Hacker, a managing director in the firm’s secondaries team. Spajic ranked seventh in the Young Guns of Secondaries list of most impressive industry professionals under 36 in 2017. She was described by one buyer as the “horsepower” behind a 2013 deal with UniCredit. Prior to joining 17Capital in 2015 where she was responsible for European investment origination and execution, she spent more than three years with AlpInvest in Amsterdam. Recent headline preferred equity processes include UK buyout firm Hg, which was exploring using a £500 million ($655 million; €581 million) preferred equity as a fund finance option, as Secondaries Investor reported.